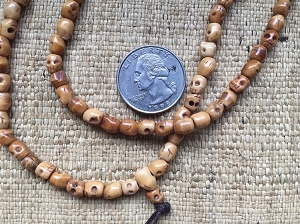 The carving on these skull bone malas is quite nice. 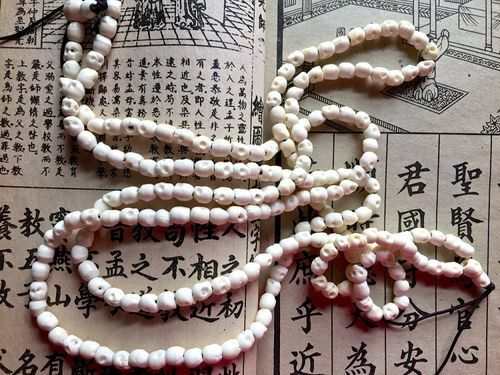 Each strand has 108 beads. 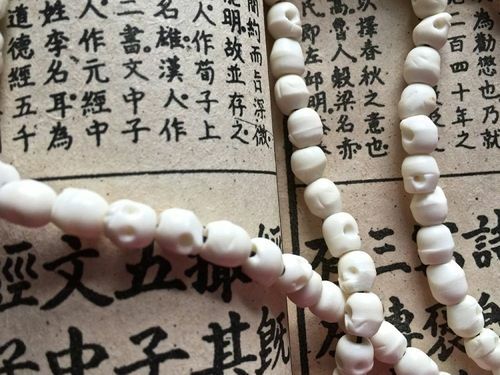 The bone skull beads on the mala are approximately 5x6mm. 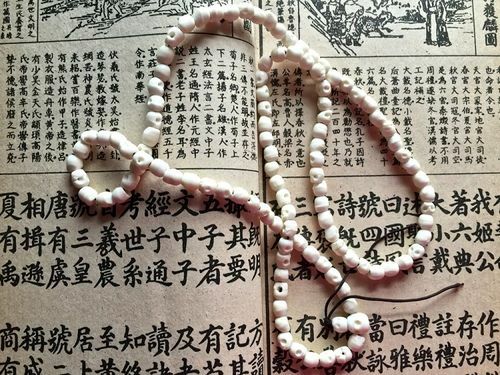 Please note that these beads were previously available antiqued and now are just available in white (no antiquing). 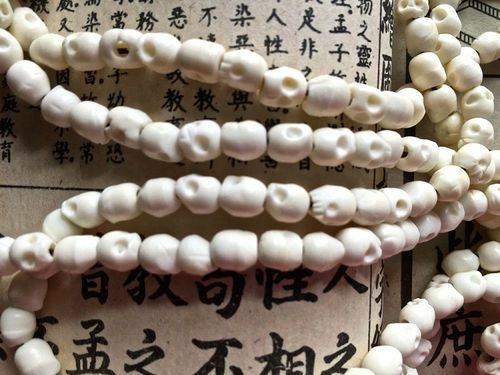 Hole size is approximately 2mm.